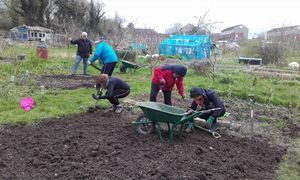 Sustainable Merton is a community led initiative giving local residents, groups, organisations and businesses the opportunity to stimulate practical action to make our area a sustainable community. We are engaged in projects covering renewable energy and energy saving, local food growing, water conservation and raising awareness of the issues associated with climate change. We are working in partnership with Merton Council and with schools, community groups and businesses across Merton. If you are interested in things we have done or in ways you could get involved - please get in touch. If you have any questions, suggestions or ideas you want help with, or if you would like to get involved in projects as they develop please get in touch. Specific paid and volunteer opportunities are advertised as they arise.